1. Use 20- to 30-wk-old -30 BALB/c mice to generate routine mouse or mouse-rat hybridomas; Sprague-Dawley rats are used for rat-rat MAb antibody production. 2. P3X63Ag8.653 (ATTC, Manassas, VA, cat. no. CRL-1580) murine myeloma cell line; other mouse, as well as human and rat hybridoma fusion partners, are listed on the ATCC web page www.atcc.org/common/products/HybridDev.cfm. P-mercaproehtanole in the absence or presence of Hypoxanthine-Aminopterin-Thymidine (HAT) or hypoxanthine/thymidine (HT) for selection (all from Invitrogen, Carlsbad, CA). PFHM II (Invitrogen) or UltraDOMA-PF™ (Cambrex, East Rutherford, NJ) protein-free media can be used to grow hybridoma cells to produce supernatants with high MAb concentrations. Hybri-Care cell culture medium (ATCC) is used to grow fastidious hybridoma clones. 4. 500X concentrates of HAT and HT (ATCC, cat. nos. 69-X and 71-X) and premade stocks of 8-azaguanine (Sigma, St. Louis, MO, cat. no. A5284) are used to select hybridoma clones and myeloma partner cells, respectively. Polyethylene glycol solution (PEG) 50% (w/v), mol wt 1450 (Sigma, cat. no. P7181) made up in a protein-free medium is used for hybridoma fusion protocols requiring 40-50% PEG. Use 0.4% Trypan Blue solution (Sigma; cat. no. 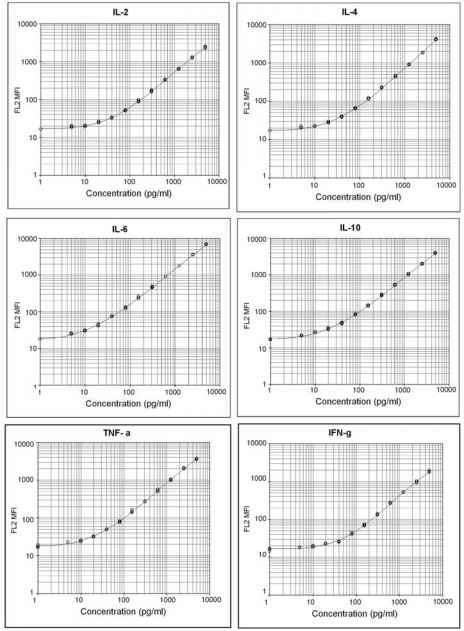 T8154) for counting viable cells and hybridoma-grade DMSO (dimethyl sulfoxide; Sigma, cat. no. P2650) for cryopreservation. 5. Complete Freund's adjuvant (Sigma, cat. no. F5881), Incomplete Freund's adjuvant (Sigma, cat. no. F5506), or Ribi Adjuvant System (Ribi ImmunoChem Research, Inc., Hamilton, MT) (MPL+TDM) are widely utilized in immunization protocols. Use Pristane (2,6,10,14-tetramethylpentadecane; Sigma; cat. no. P1403) to produce hybridoma ascites. 6. Use an antibody-capturing strip based kit (Sigma, cat. no. ISO1) for rapid and specific isotyping of MAbs. Quantitative determination of MAb concentration in hybridoma supernatants is performed using the Standard Vectastatin ABC kit (Vector Labs, Burlingame, CA, cat. no. PK-4000). Protein A, Protein G, and other affinity chromatography reagents used to purify MAbs from protein-free super-natants and ascitic fluids, as well as numerous thoughtful and detailed biochemical protocols, are available from www.piercenet.com (Pierce Biotechnology, Inc., Rockford, IL). 7. Low-tox rabbit complement (CL3051) is from Cedarlane Laboratories (Hornby, ON, Canada). AMICON Centriprep 100 (Millipore, Billerica, MA) concentration units are utilized to concentrate IgG MAbs from tissue culture supernatants. 8. Standard laboratory equipment and supplies: sterile 96-well plates, tissue culture flasks, Petri dishes, conical tubes (15 and 50 mL), multichannel pipets, microsurgery dissection instruments, glass spleen crusher/homogenizer, hemocyto-meters, water baths, sterile tissue culture hoods, cell centrifuges, inverted and direct light microscopes, other equipment and supplies required for screening procedures.